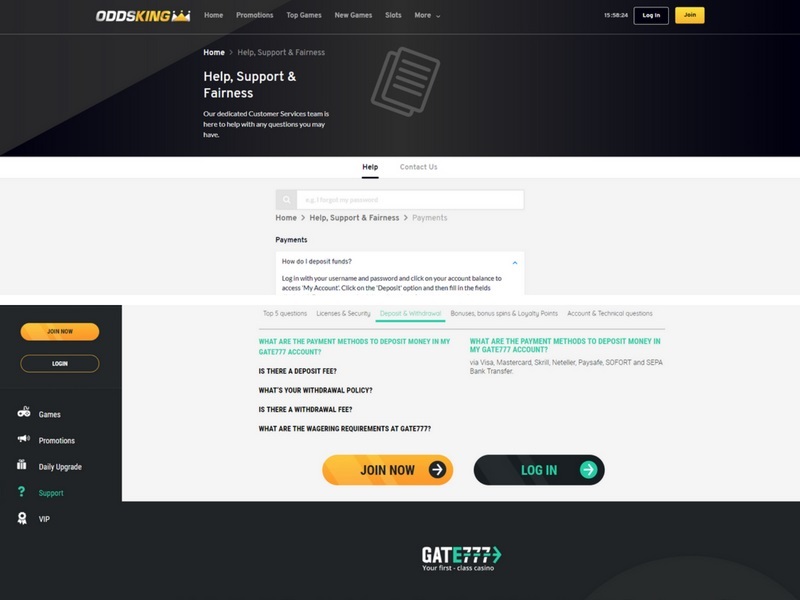 OddsKing Casino vs Gate 777 Casino then. 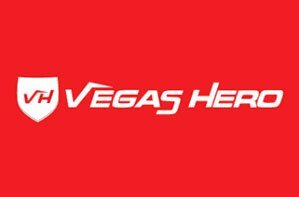 Two 2018 casinos that are attempting to take the online casino landscape by storm with fresh designs and fresh ideas. 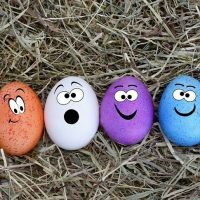 But which is the best one? Which one should you spend your time on? Maybe it’s OddsKing, maybe it’s Gate 777, maybe it’s both? Both sites are actually very swish and sleek. 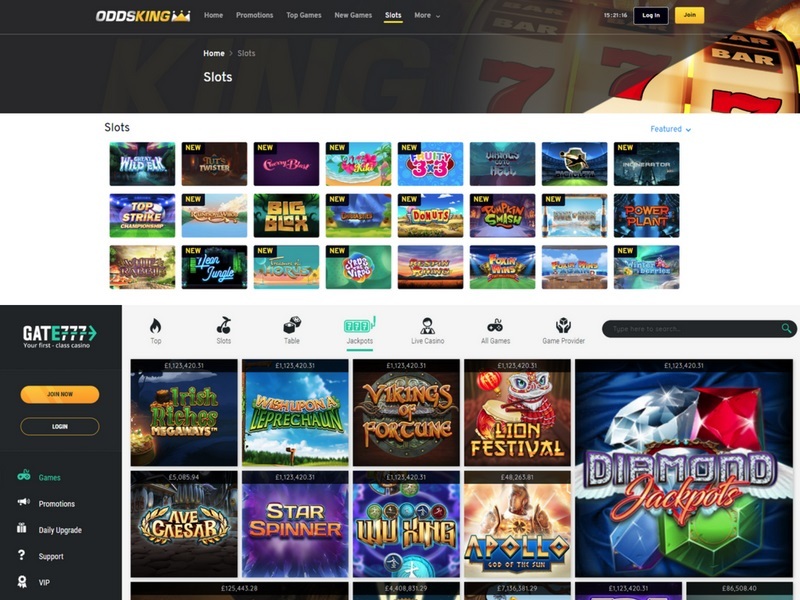 At the top of the OddsKing site, you are met with their powerful logo, a strong, clean typeface and a very striking header image which fades in beautifully to the below sections. Unfortunately, though, once you click through to the game section, the pages do start to look a little bit rough around the edges. In comparison, Gate 777 really doesn’t look rough around the edges. They have absolutely nailed the website which not only looks magnificent but works magnificently too on every page you visit, plus the cool visuals and the personable images across the site are also really quite beautiful. 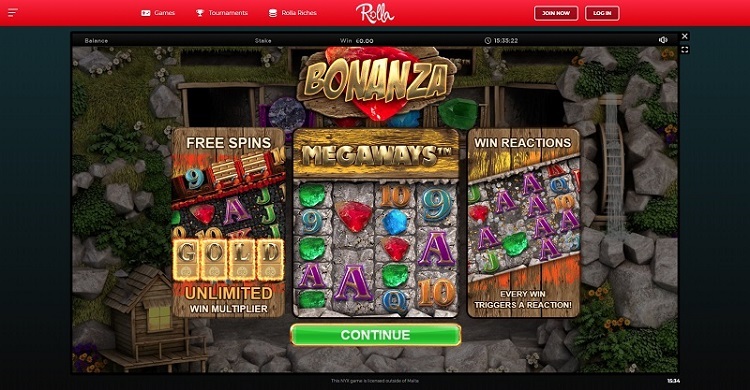 They also have a left-hand side navigation which follows you everywhere you go and works so well, as they do on most online casinos. It’s a close one, it really is, but Gate 777 just takes it. Gate 777 have over 800 games to choose from, which is amazing for such a new casino, and they’re not any old baloney either. 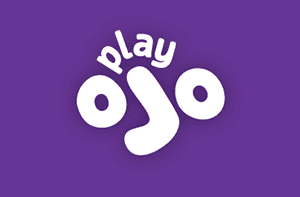 They’re proper games, the games that everyone loves like your Mega Moolah’s and your Mega Fortune’s, plus classics like Starburst, Rainbow Riches and Gonzo’s Quest. 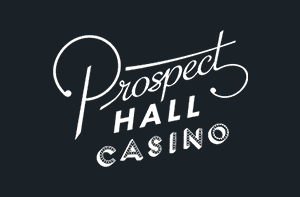 There’s also a hell of a lot of casino games, live casino tables, and instant-win games as well. And OddsKing, ehhhhhmmm… it’s not looking all that rosy over there right now. There’s only 78 games on the site, at the moment, and though there are some titles on there that you’ll recognise like Bonanza and Foxin’ Wins, there’s just not enough choice, and not enough quality of choice either. The game filters also aren’t very good as its hard to find the casino games without trawling through the pages. Quite a convincing win this one for Gate 777. Soooo, OddsKing doesn’t really nail this one either, to be honest. 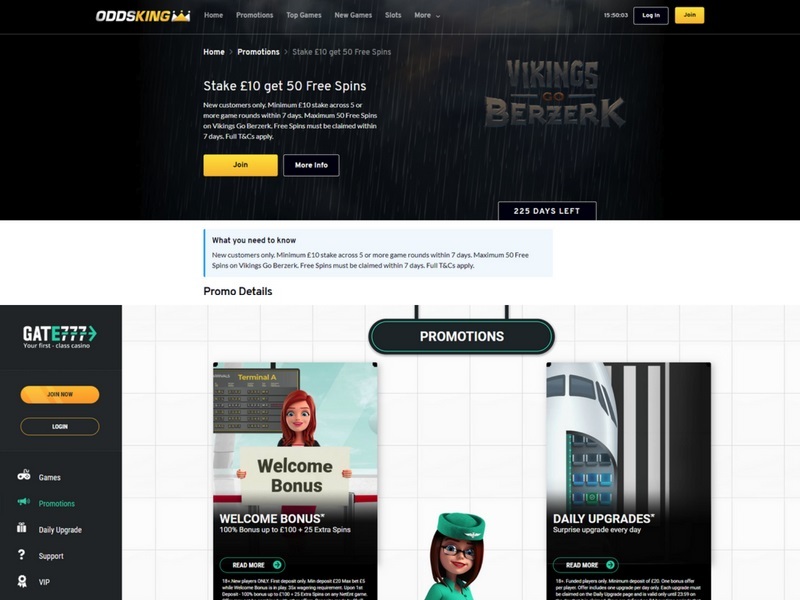 The only promotion offer here is when you stake £10 you get 50 free spins on Vikings Go Berzerk, but having said that, there are no wager requirements, so you can withdraw your winnings whenever you want. You don’t see that very often! 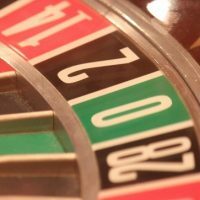 As for Gate 777, you get some free spins, 25 of them to be precise, and you also get a 100% match bonus up to deposits of £100. Wager requirements are a bit of snag, though – you have to wager the amount you deposit 35 times before you can withdraw it. Sheeeeesh. However, you do also get daily upgrades at Gate 777, something you don’t get at OddsKing. The winner here has to be Gate 777. 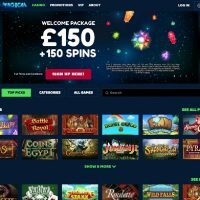 You can obviously get a lot more than 50 spins with over £100 even if it can take a while before you can take your money, plus you get an extra 25 spins to-boot, and daily upgrades as well. Laaaavely. 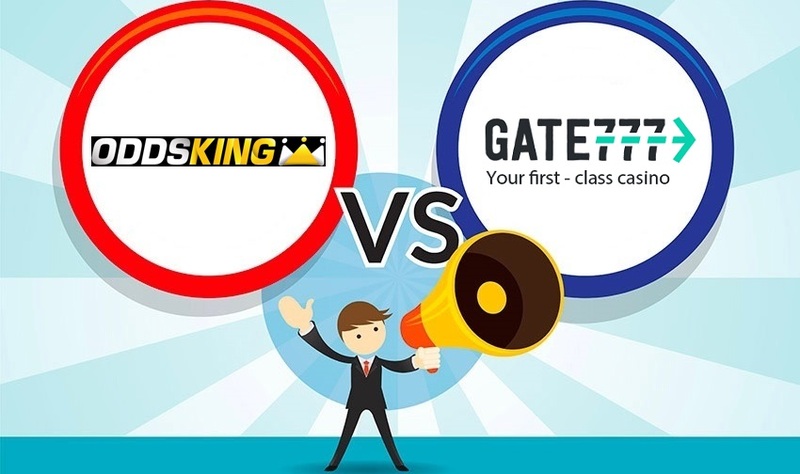 Gate 777 offer most of the popular payment methods on their site: the credit and debit cards like Visa and Mastercard; e-wallets like Skrill, Neteller, paysafecard; and bank transfer too. Unfortunately, though, there is a £20 minimum withdrawal and deposit, which is quite high. The withdrawal limit is £5,000 a week. OddsKing in comparison do really well when it comes to minimum withdrawals – it’s a meagre £5, which is basically as tiny as you’ll see anywhere. The maximum withdrawal is a massive £20,000 too. But there is a downside because OddsKing don’t offer any e-wallet providers, just credit and debit cards. The win has to go to OddsKing, though. The vast majority of gamers out there use credit and debit cards for withdrawing and depositing anyway, plus, having a minimum withdrawal of £5 is SO GOOD. Great stuff. Ah man, two brand new casinos, two young whippersnappers in the industry, but, as always, there can only be one winner (unless it’s a draw (which it isn’t)) and boys and girls, that winner is Gate 777. With ease, with authority. In fairness to OddsKing, it’s really not a bad casino at all. 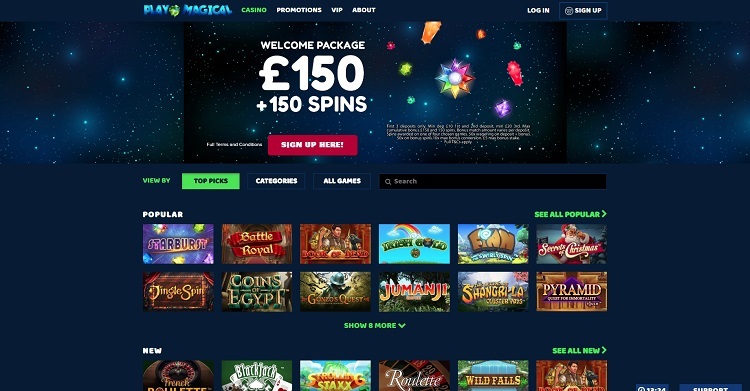 It just needs a little bit more time invested into it – maybe it was launched too soon because, when it comes to games, there really is little of value whereas Gate 777 offer loads, which even at this early age, rivals a lot of the big hitters. 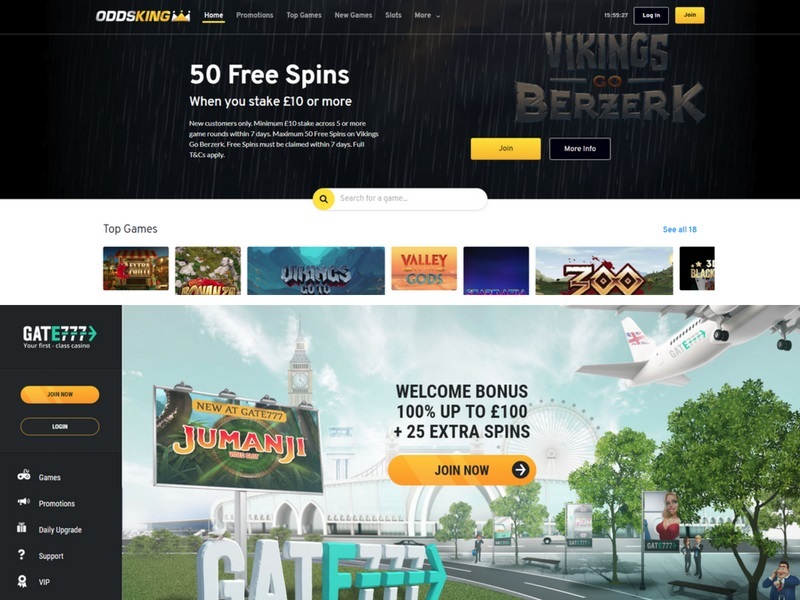 User experience though, OddsKing nail that and their website is both beautiful and practical – it’s just a shame that Gate 777’s website is even better, and though OddsKing’s payment methods are decent, it just doesn’t bring the score level. Congratulations, Gate 777 – you’re 3-1 winners.